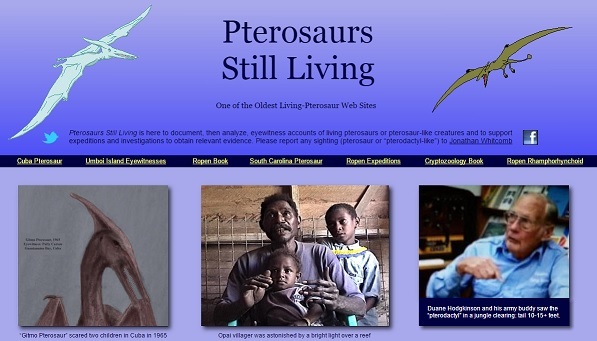 Glen Kuban has written a long online article: “Living Pterosaurs (Pterodactyls)?” I now acknowledge that he often revises that page, and details that I publish, including quotations, may be seen by him, resulting in corrections that he will make in it. If things continue as they have, in the months of March, April, and May, of 2017, however, the most serious problems in “Living Pterosaurs” will not be much affected by his changes. Why? He continually falls into confirmation bias. In keeping with his tendency to fall into this kind of error, he has recently fallen into confirmation bias in his writings on the Ptp photograph that the physicist Clifford Paiva and I have been examining. He mentions that the animal in this photo resembles a Pteranodon (apparently meaning it gives some persons that impression), but he gives two lists of reasons why the animal differs from what is now known to paleontologists from fossils of the Pteranodon. He gives those two lists as if they were evidence against that animal being a modern pterosaur. In reality, Paiva and I have not declared that it must be a species of Pteranodon. We simply suggest it appears similar. In other words, we have stated something very similar to what Kuban states or implies: It gives some persons the impression that it is like a Pteranodon. In compiling those two lists, Kuban believed he was giving people evidence that the animal seen in that photo was not a modern pterosaur. In reality, his two lists are completely irrelevant. When a person wants an idea to be true, he or she can be misled by wishful thinking. The person may stop gathering information when the evidence already gathered appears to confirm the views or prejudices he or she would like to be true. From an objective perspective, a piece of evidence may have a number of possible interpretations, but when someone falls into confirmation bias, that person looks only at an interpretation that fits what he or she wants to be true. Even when one piece of evidence is actually more likely to fit a person’s desire, it can lead to confirmation bias if that person then refuses to look at any other evidence that could contradict what he or she wants to be true. The skeptic mentions the use of the word ropen in the village language of the PNG native Jacob Kepas, a Baptist minister. Papua New Guinea has hundreds of local languages. In the village tongue of Pastor Kepas, “ropen” means bird. But the skeptic Glen Kuban makes a big mistake in his online article: “This seems like a very relevant piece of information.” It’s more like the opposite: totally irrelevant, unless you believe that a hippopotamus must be a horse that lives in a river. In the real world, one language often takes a word from another language, but that word can easily change its meaning in the language doing the borrowing. That seems to have happened with the Kovai language of Umboi Island and the local language of the natives of the village where Kepas lived as a child. Which language was first to use the word ropen is unknown, but the other one likely did the borrowing, unless a third language was involved. For anyone wanting to carry Kuban’s insinuation to its destination, answer this question: Do almost all trees have human hands growing out of them? The answer: No. Since “ropen” in one language means bird, must the word ropen in another language mean bird? No. As a bird very slightly resembles a modern pterosaur of Umboi Island, a human hand very slightly resembles a branch of a tree. In the Tok Pisin language of Papua New Guinea, the phrase “han bilong diwai” means a tree branch, but word-for-word it appears to say “hand of a tree.” (Han comes from the English word hand.) In other words, that connection between two languages is not evidence that the nocturnal flying creature that glows as it flies over Umboi Island is a species of bird. It is completely IRRELEVANT to the controversy in the Western world over interpretations of eyewitness accounts of apparent modern pterosaurs. Glen Kuban has again fallen into confirmation bias, expecting to find evidence against extant pterosaurs in modern times, finding something that looks like it may be such evidence, and jumping to the conclusion that it is. Publishing it online, in the long article “Living Pterosaurs”—that practically proves that he did fall into confirmation bias, regarding the word ropen existing in two different languages. I suggest the writer of that page [BAMPP] has fallen into both confirmation bias and belief perseverance. The combination of the writer’s bias and the extreme length of his online page can cause readers to assume that there must be serious problems with living-pterosaur investigations. 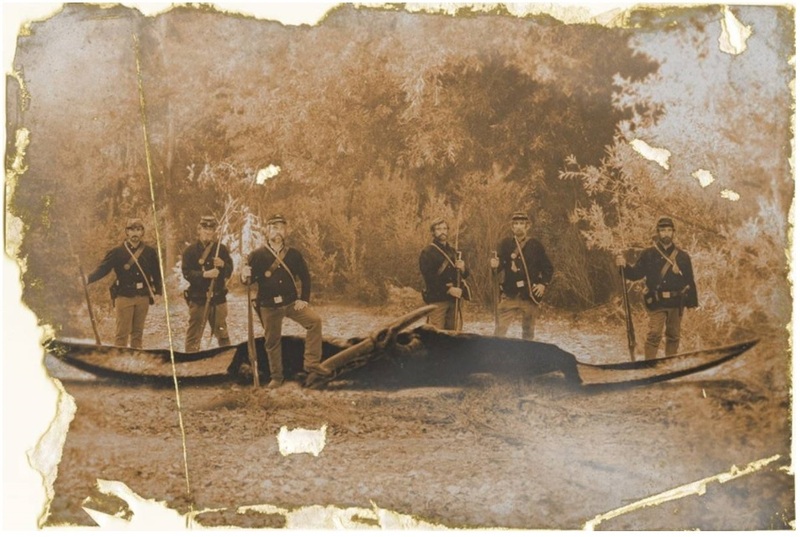 I don’t know if the Ptp photograph was from Vicksburg in 1864; that appears to be just an online rumor. But Clifford Paiva and I have examined evidence that it was recorded before about the year 1870 . . . The winged creature with a Pteranodon-like head shown in Figure-1—that was officially declared to be a genuine pterosaur by Clifford Paiva* and me, Jonathan Whitcomb, on January 14, 2017. My friend and associate Cliff Paiva suggested I write this little book, after we agreed that the image of an apparent Pteranodon, in an old photograph, was a real animal.